Now Tax Reform arrives on the Congressional agenda. Congress sees the problem as not enough money to pay for all the projects, programs and material that everyone wants. The budget remains unbalanced. Lawmakers feel pressured by constituents, who they feel want all kinds of services but balk at paying taxes for them. The last time federal income fell unacceptably short, near the end of the 19th century, Congress embraced the income tax, which the US finally adopted with a 1913 Constitutional amendment. Since tariffs, then the government’s primary financing source, fell short, Congress found a new money supply—the income tax. 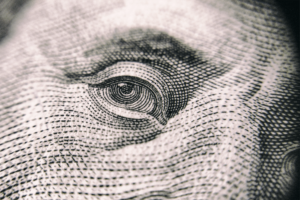 Today individuals and groups from a variety of political viewpoints suggest a new source of government money for the 21st century: The Automated Payment Transaction (APT) Tax. “The author of this plan estimates that this system could save $500 BILLION ANNUALLY (yes you read that right) for the government and citizens by completely replacing the enforcement and collection of taxes.’” Read Daily Kos article here. We present this concept of a new source of governmental income as an important idea that Congress, other policy makers, individuals in the Tax Reform debate, and citizens at large might find useful in their Tax Reform efforts. We make a key transpartisan point when we say that our conventional left-right debate often overlooks possibilities that might be useful and fall outside current ideologies. We believe the APT deserves to be part of the deliberations on Tax Reform currently underway in Congress.